String using our elastic cord. Quality assorted beads to string using our elastic cord, either alone or with Heart Beads, above. 6mm. Pack of 144. I had hoped to use these with the individual letter beads I had but they don't wok These are so small and the holes are so tiny that ribbon string or elastic cord won't fit. I don't suggest trying to use these with younger elementary children. Merchant response: Thank you for the recent product review. Your suggestion has been sent to the product team. the holes are so small not a good product for 0-10 yrs. Our patients make bracelets with their name or some inspirational message. Letter beads allow participants to personalize bead projects. Others have commented on small size of beads and holes - check product information before ordering. Yes smaller size is better for older children teens or even adults. 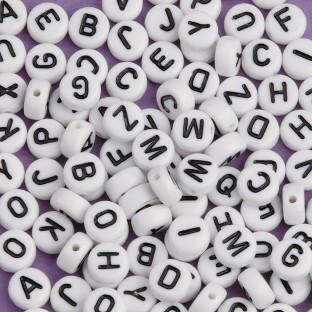 Larger letter beads are available for littler fingers- check catalog or online. People enjoy using letters to create meaningful projects. 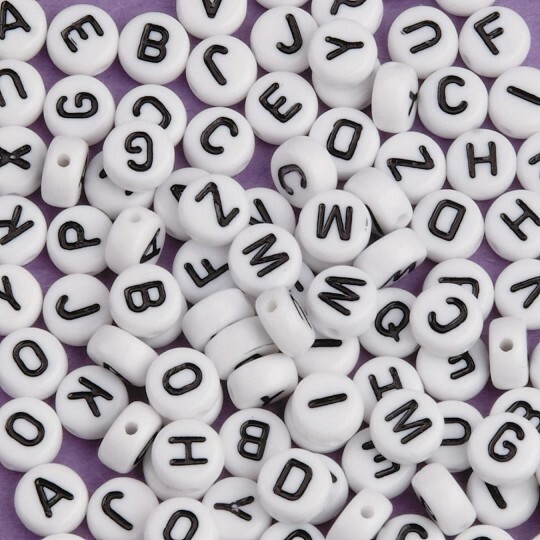 It is a good idea to also purchase extra vowels to supplement if you are using more than one pack of these assorted letter beads. Project Ideas: Encourage people to create a bracelet necklace or keychain with a word that reminds them of a personal goal offers hope or represents a strength or positive quality. The beads were too small to hold or to see for my group. The holes were even smaller. Merchant response: Thank you for your review. The Customer has been provided a refund on this purchase.